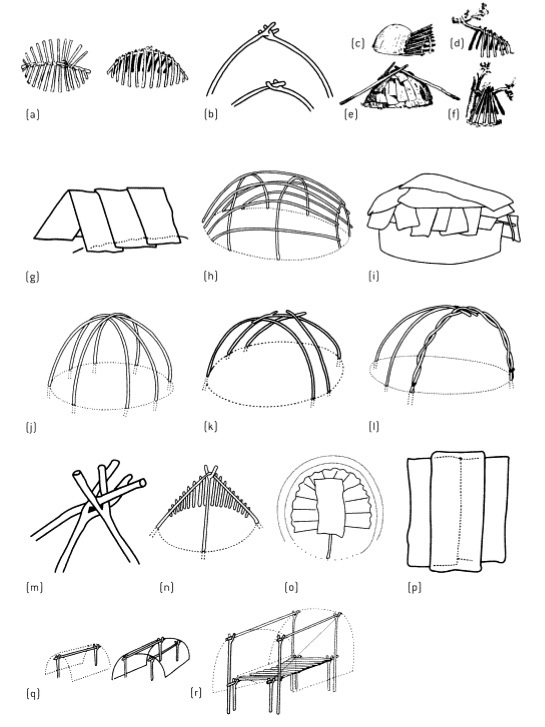 These shelter structures are beautifully sculptural. 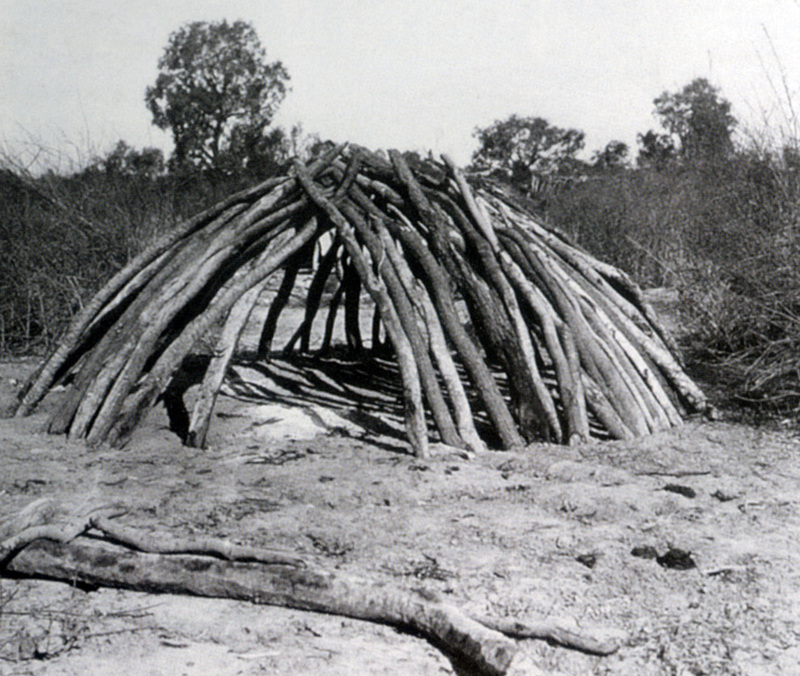 The many variations of Aboriginal shelters are linked to the changing needs of a particular time, temperature, and part of the country. The physical and the social environment. Here John Glover shows us an inventive use for a fallen eucalypt in Tasmania. Anthropologist, geologist, explorer and medical practitioner, Herbert Basedow took this photo near Coopers Creek. When completed, the structure would be covered with clumps of Triodia (spinefex) and other herbage. I love seeing it here in stick form. Here, an interesting and sometimes controversial character, Walter Roth (anthropologist and protector of Aborigines) documents the vernacular from all over Queensland.